Glance at just about any cocktail menu these days and a shrub of some kind will likely be featured among the ingredients. A shrub is the name for a cooked-down liquid mixture of fruit, herbs, sugar and vinegar. That basic recipe lends itself to a lot of creativity, as flavors and components can be swapped in an out based on season, taste and availability. A shrub’s tangy acidity mixes well with a variety of liquors and sodas, but they can (and should) be used beyond just a splash in a craft cocktail. These vinegary shrubs have a full body of flavor that can stand essentially on its own. Imagine drinking a shot of balsamic vinegar – it’s essentially the same sensation. And while it might seem odd, drinking a fruity vinegar on its own or with a splash of soda is pure refreshment. Michael Dietsch, a food writer and author of Shrubs: An Old Fashioned Drink for Modern Times, learned to appreciate the sensation while sipping on a shrub cocktail in the oppressively hot and humid New Orleans summer weather. “I liked the tartness of it, but it was still kind of sweet and fruity. It just played really well with the drink,” Dietsch says. Removing the booze doesn’t change that affect – it’s still just as sippable on its own when cut with some sparking water or ice. A ratio of two-or-three parts soda to one-part shrub is a good place to start. This can make for an inspired choice of a non-alcoholic beverage or “mocktail.” One that’s much more sophisticated than the typical soda, coffee or juice. That was the driving factor behind companies like Element Shrub, a small Washington, D.C. based operation that began producing a variety of shrubs a few years back. “My wife was pregnant, we both like to eat and drink and she wanted something that was more exciting that cranberry juice and ginger ale but something that sort of felt like a cocktail,” says Charlie Berkinshaw, the company’s co-founder. 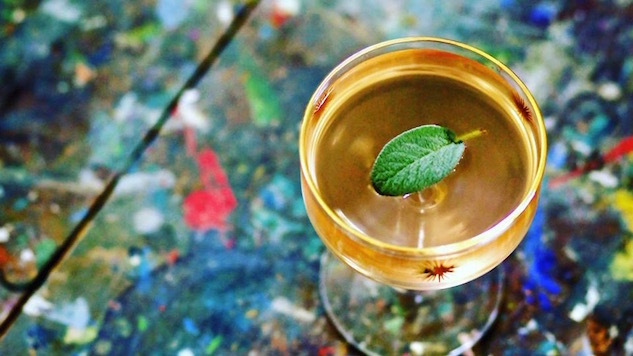 He doesn’t discourage using shrubs in cocktails – or even in cooking – but thinks they should be seen as a standalone option more often. The acidity in shrubs also stimulates the appetite. The imaginative beverage program at Tail Up Goat, a Mediterranean restaurant in Washington, D.C., starts guests off with a sip of homemade shrub to help settle the stomach. “I’m a vinegar freak,” says the restaurant’s co-founder and beverage director Bill Jensen. It’s not been a unanimous favorite – the fruiter ones, like strawberry, are most popular (and more expensive to produce), he says, while shrubs like celery or carrot can be more divisive. It’s safe to say that shrubs are still a niche product, especially when it comes to drinking them on their own. Still, the fact that they’re spurring businesses and appearing in farmer’s markets and on shelves at specialty grocers like Whole Foods bodes well for the future of this punchy vinegar beverage. With the summer heat in full swing across the country, now is as good a time as ever to take a sip of shrub, no booze required.